Rafting or white water rafting is a recreational outdoor activity which needs an inflatable raft to steer on the river or any other water body. This is generally executed on different degrees of rough water, viagra 100mg and represents challenging adventure for the participants. Dealing with great risk and the need for teamwork is an essential part of the experience. The person controlling the raft requires experience with the river and special technique with the raft to navigate it further. White water rafting is a very dangerous sport and not all would want to professionally train for it, even if it provides a good income. Not many would risk their lives, therefore it is a quick way for the locals of Uttarakhand, Himachal Pradesh and other hilly regions to find seasonal employment and earn a livelihood. 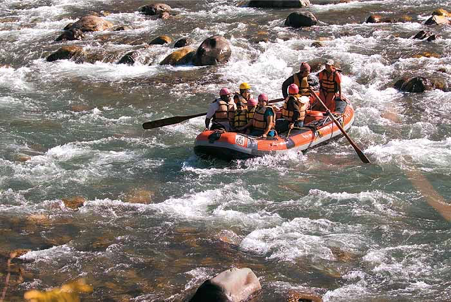 In Kullu-Manali valley, where the River Beas is born and flows in a gentle grade, the business of rafting has been booming for some years. Due to the free flow of water in the river of Beas and increasing number of tourists visiting the valley has provided work for many that is helping in strengthening the local economy. The rafting season begins in April and last till June. 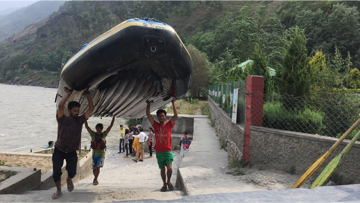 Earlier people didn’t see rafting as a sport or an adventurous task but with time there has been a great change as more and more youngsters are involved in the adventure sport activity.. However, the thrilling sport has had its share of tragic accident where because of lack of enough safety measures or the inability to tackle higher grade rapids, some lives have been lost to the river. 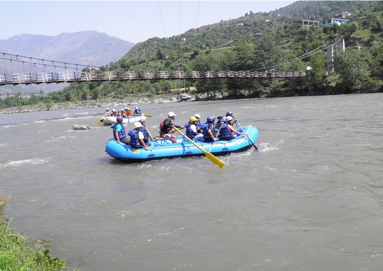 Any fresher’s should pick for the rafting points Raison to Babeli, Pirdi to Bhuntar , Bhuntar to Bajaura or other points with less distance of 2.5 and 3.5 km, as Manali to Kullu rafting has more distance to cover with erratic and dangerous rapids in between. With all its dangers, a splash of freezing cold glacial water from the Himalayas in summers is a life time thrilling experience . Sonali, a native of Bajaura, Kullu is pursuing a bachelor's course in journalism from Indraprastha University, Delhi. As part of her course, she is doing an internship with The OK Travel.